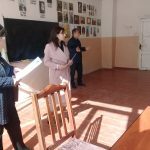 On November 7th and 9th , 2018, YSUIB Department of Professional Orientation and Practice Organization had a meeting with the secondary school of Achajur village of Tavush region and senior and secondary students of Dilijan region schools. 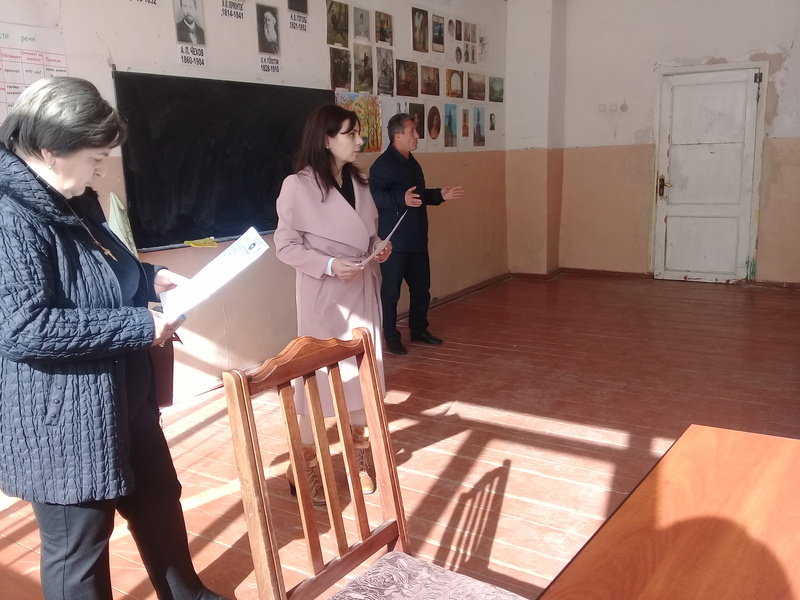 The meeting was attended by Acting Director of YSUIB A. V. Tsutsulyan, Head of Educational-Methodological Department A. Davtyan, Head of Professional Orientation and Practice Organization Department L. Beginyan, worker of the same department A. Manucharyan, School directors, teachers and students. 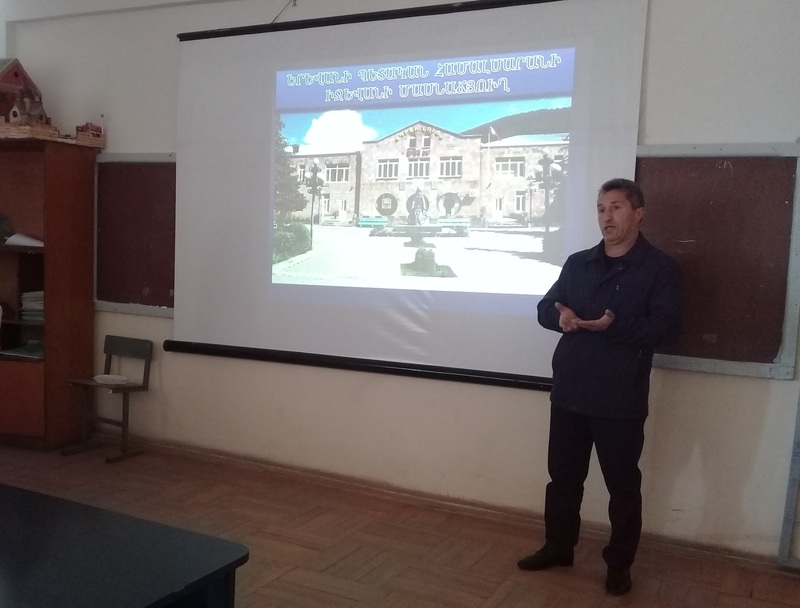 The purpose of the meetings was to carry out professional orientation work in secondary schools, inform the graduating students about YSUIB admission professions of 2019 academic year and educational programs. 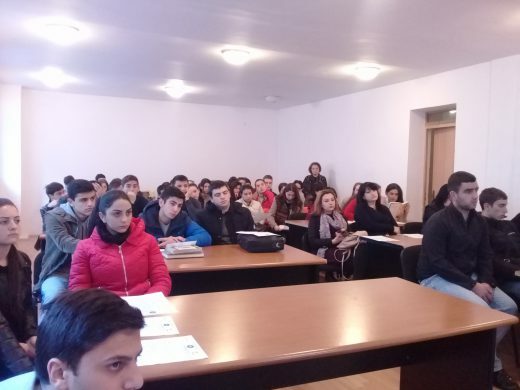 During the meetings, the universitarians presented general directions and specializations of YSU Ijevan Branch, the terms and conditions of university admission and privileges. 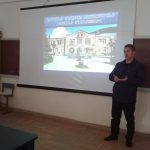 On the agenda were admission education programs of 2019 academic year, new offers and opportunities (referring to Full-time learning of the mentioned faculties (“Environment and Nature Management”, “Applied Art” and “Psychology”), exam materials and changes in admission exams. Special attention was paid to the Russian Language and Literature, which would be implemented for the first time taking into consideration the labor market demands. In order to maintain a constant contact between the university and the region’s secondary schools, and to strengthen the school-university connection, it has been suggested to periodically conduct cognitive visits, thematic lectures and discussions, and to take advantage of Part-time learning opportunities. The meeting was in an interactive atmosphere. The students were interested in various issues related to educational process, tuition fees discounts and privileges for students, admission exams and subjects. The representatives of the schools expressed their contentment to the universitarians and expected the cooperation to be continuous.